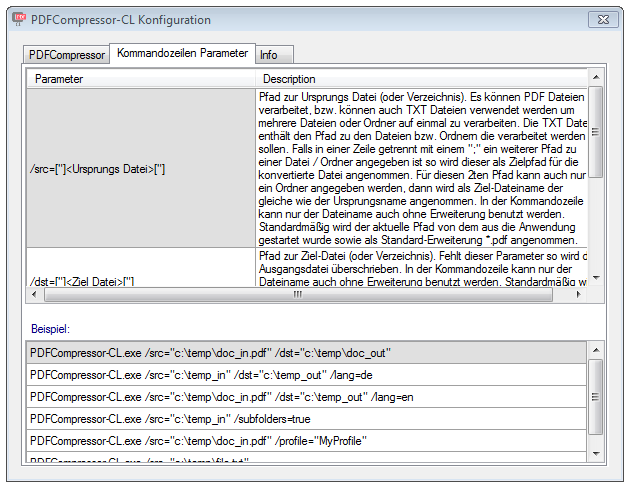 PDFCompressor-CL is a command line application based on our PDFCompressor component and serves to optimize and compress PDFs. Depending on the settings and content, PDF files can therefore be reduced many times over. Compress PDF files many times depending on the initial situation and settings. Processes – PDF single files, lists of text files, folders, and entire folder structures. Removed – unused pages, unused names, invalid bookmarks, invalid links, etc. ZIP compression of all PDF resources. Optimizing the color depth of images. Image Compression Change – Color, Grayscale, Black & White – LZW, RLE, JPEG, ZIP, JPEG-2000, TIFF Gr.4, JBIG-2. Reduce images – Convert images to new target resolution separately for color, grayscale, black & white configurable.